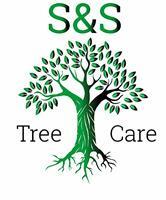 S&S Tree Care - Garden Services, Tree Surgeon based in Westhoughton, Greater Manchester. S&S Tree Care are fully qualified and insured with 7 years' experience in all aspects of tree and hedge work. We thrive on attention to detail and customer job satisfaction, offering highly competitive affordable prices to meet your needs. We also offer and deliver woodchip, seasoned and unseasoned logs to warm your homes and enhance your garden all year round. Sean on the left fully qualified arborist. Ryan in the center is our apprentice. Shaun on the right is a fully qualified arborist. I have 8 years experience in the arborist world working with many different companys all over the country before setting up my own business.